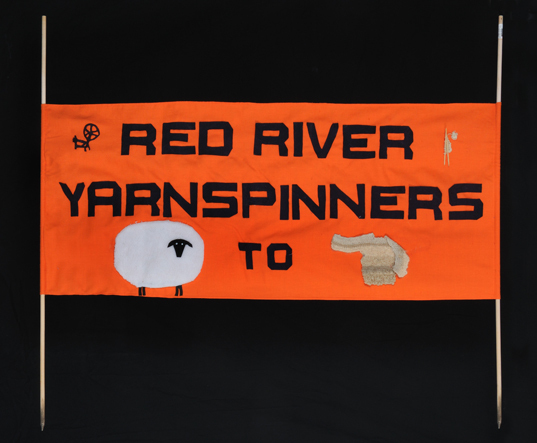 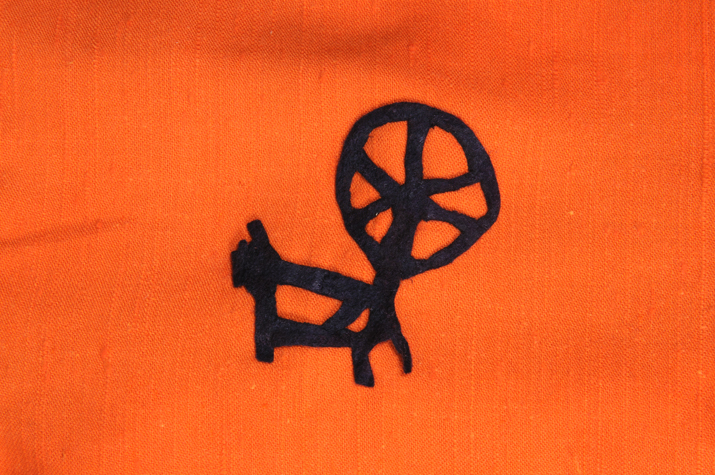 This banner was made by the Red River Yarnspinners during their of the Back to Back Competition in 2000. 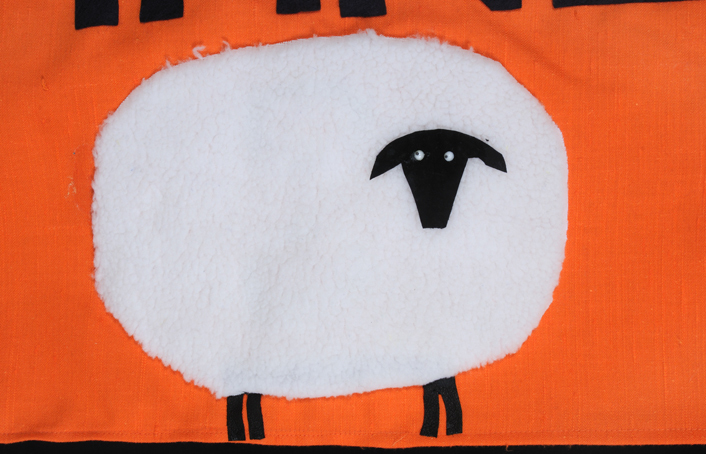 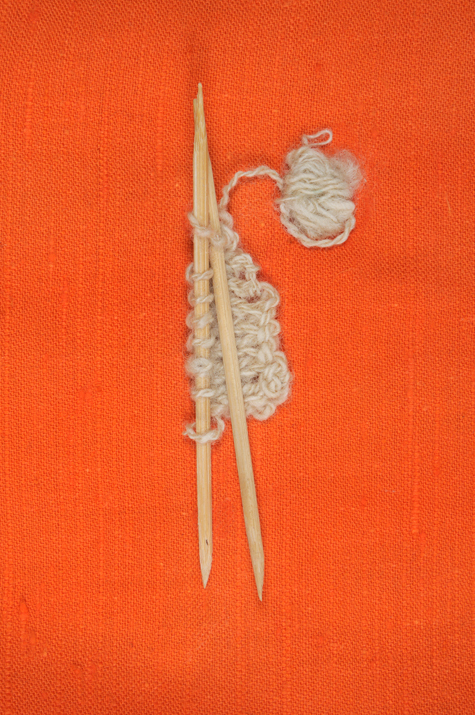 This contest, which includes teams from across the world, requires a team of eight to shear a sheep, spin the yarn, and knit a sweater according to a specific pattern. 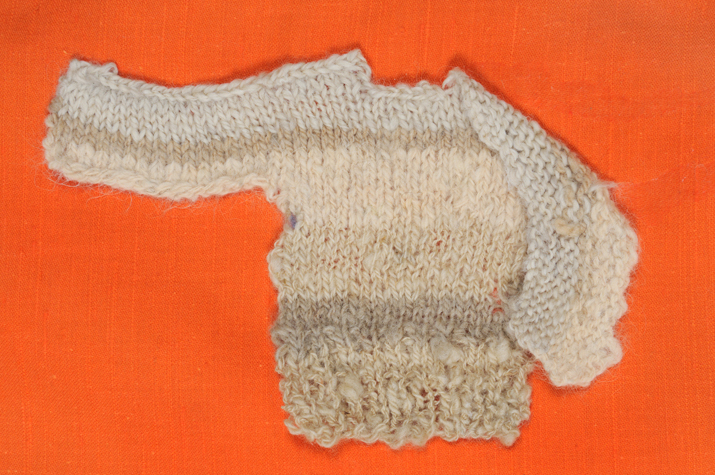 The team that produces the finished sweater in the quickest time wins.